Brandon Marshall made NFL history against the Giants on Sunday. 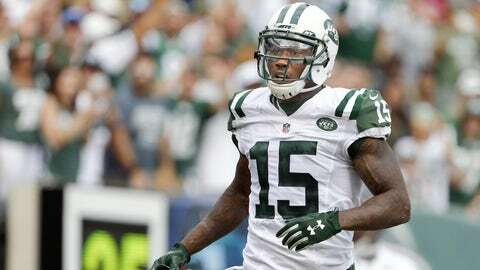 On offense, no player has been more valuable to the New York Jets than Brandon Marshall. With his game-tying touchdown reception against the New York Giants in Week 13, that became even more evident. 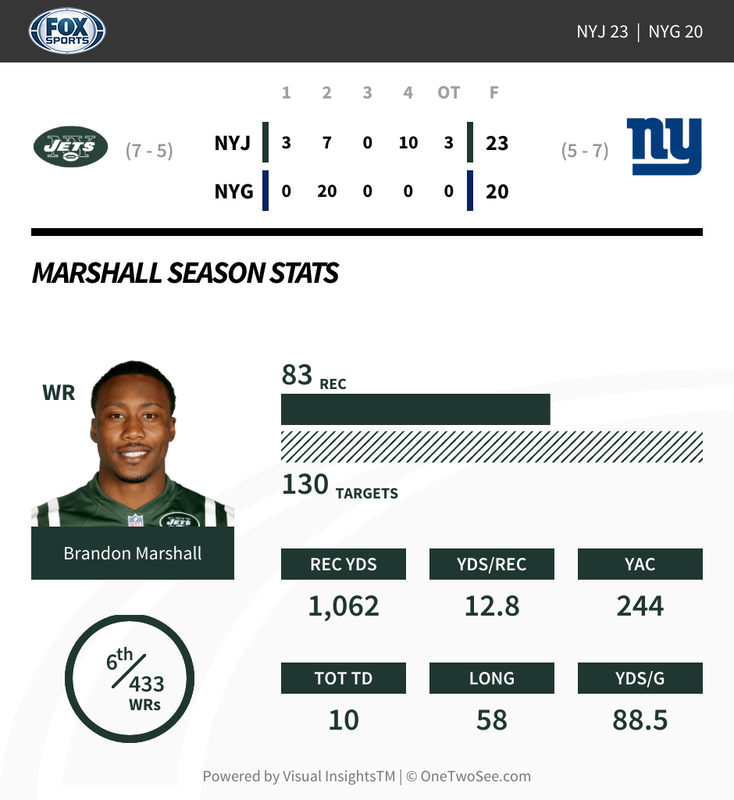 Marshall’s late-game reception helped lift the Jets over the Giants for their seventh win of the season, accomplishing an outstanding personal feat in the process. He finished the game with 12 catches, 131 yards and a touchdown, putting him over 1,000 receiving yards for the eighth time in his career. More impressively, he became the first player in NFL history with 1,000-yard receiving seasons with four different teams: the Jets, Chicago Bears, Miami Dolphins and Denver Broncos. Through 12 games, Marshall has 83 catches for 1,062 yards and 10 touchdowns and certainly looks like he was worth the fifth-round pick the Jets traded to get him during the offseason.